Situated in the historical district, this hotel is within 1 mi (2 km) of Government Museum, Nilgiri Hills, and Ooty Lake. St. Stephen's Church and Thread Garden are also within 1 mi (2 km). Ooty Udhagamandalam Station is 12 minutes by foot. A restaurant, a fitness center, and a bar/lounge are available at this hotel. Free buffet breakfast, free WiFi in public areas, and free self parking are also provided. Additionally, a coffee shop/café, a snack bar/deli, and a steam room are onsite. All 81 individually furnished rooms feature free WiFi and 24-hour room service. For a bit of entertainment, LCD TVs come with satellite channels, and guests can also appreciate conveniences like sitting areas and coffee makers. 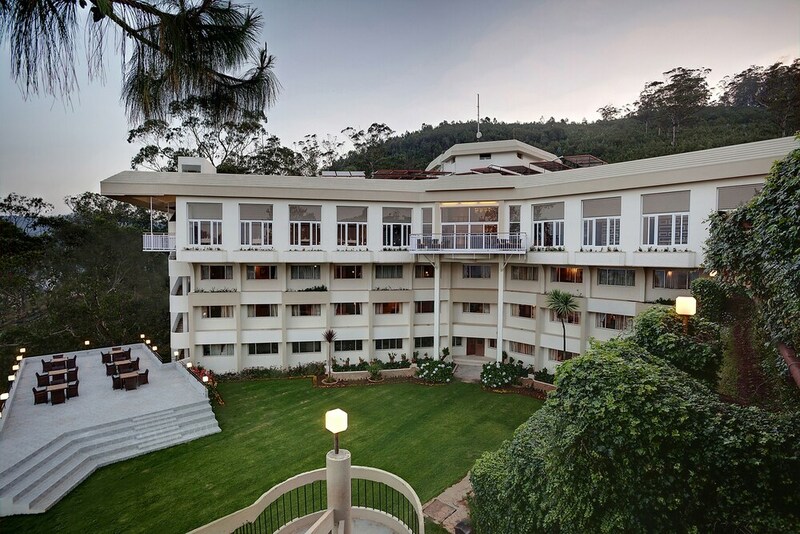 Sinclairs Retreat Ooty features a steam room and a fitness center. The hotel offers a restaurant, a coffee shop/café, and a snack bar/deli. A bar/lounge is on site where guests can unwind with a drink. A complimentary breakfast is offered each morning. Wireless Internet access is complimentary. This 3.5-star property offers access to a business center. Event facilities measuring 4000 square feet (372 square meters) include a conference center. This business-friendly hotel also offers a library, a terrace, and a complimentary children's club. Complimentary self parking is available on site. Sinclairs Retreat Ooty has designated areas for smoking. Sinclairs Retreat Ooty has a restaurant on site. Start your day with a free hot/cold buffet breakfast, available daily from 7:00 AM to 10:00 AM. Room service is available around the clock. Rollaway/extra beds are available for INR 1500 per stay. A fee for a mandatory New Year's Eve gala dinner is included in the total price displayed for stays on 31 December. The property has connecting/adjoining rooms, which are subject to availability and can be requested by contacting the property using the number on the booking confirmation.